German whisky aficionado Thomas Ewers spent the last decade searching and buying excellent and unusual casks from more than 60 distilleries in Scotland. In 2009, he founded his independent bottling company Malts of Scotland under the motto ‘Special Bottlings for Special Moments’. 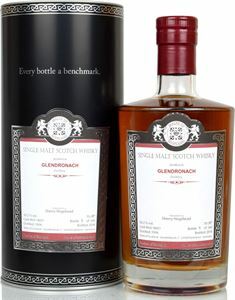 With the release of single casks at cask strength without chill-filtration or colouring, the company soon secured an ironclad reputation, awarded with a Liquid Gold 95 points by whisky guru Jim Murray for a 1996 Laphroaig. Apart from the single casks, Malts of Scotland also released 4 so-called Steady Crackers, entry malts of high quality with an affordable price tag. They are the Glen First Class, Glen Peat Class, Glen Spey Class and Glen Grain Class. These four will be continuously available (albeit new batches). They also release single casks in the Clubs-range, allowing whiskyclubs to have their own whisky. In 2013 Thomas Ewers started to bottle single cask rums under the Isla del Ron label.